A casual summer staple that promises endless amounts of wear is the Lotus men’s Bruno sandal. 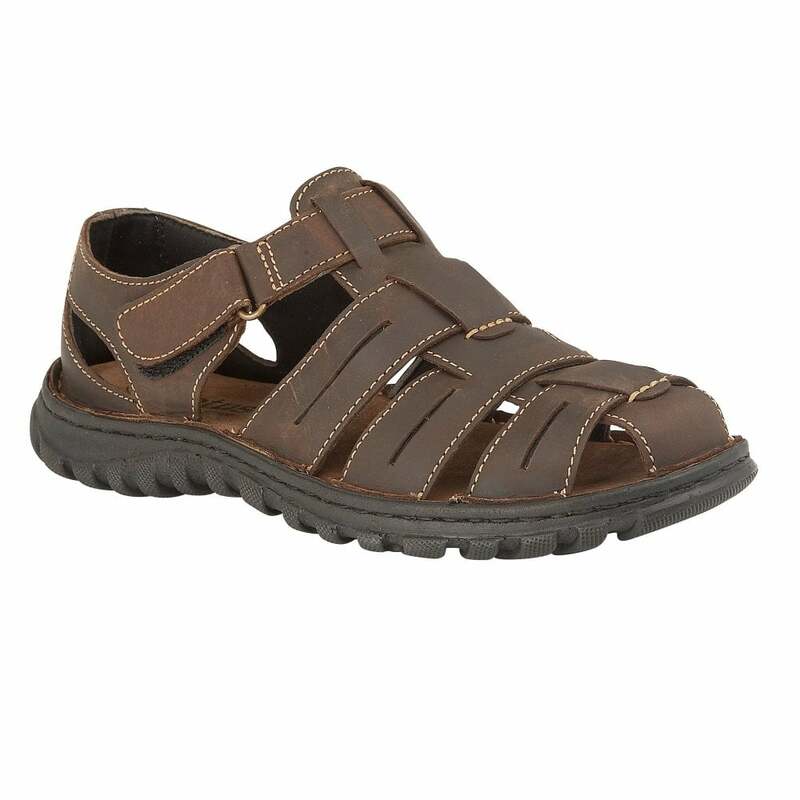 The brown textile upper on this men’s Lotus sandal is accentuated by subtle stitch detailing, whilst the multi-straps give ample foot protection. This fisherman inspired sandal also boasts a Velcro fastening strap to give a secure fit, a cushioned in-sock for a comfortable wear and a cleated sole unit to provide good underfoot stability.